seawater, brackish water or treated wastewater brackish water (TDS1,500 mg/l), and seawater. brine concentrate or simply as ‘concentrate’. (U.S. Department of the Interior, 2003). (Buros, 2000). 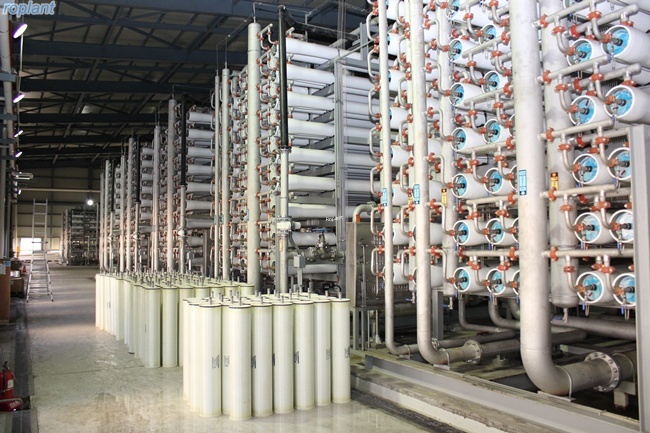 Currently, RO is the most widely used method for desalination in the United States. water will flow in a reverse direction through the semi-permeable membrane, leaving the salt behind. 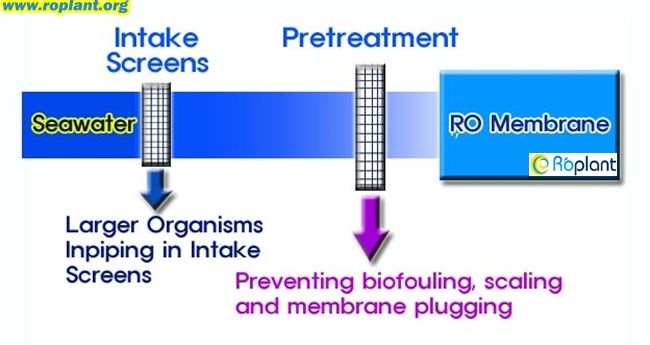 This is known as the Reverse Osmosis process or RO process. be first removed, and the water pre-treated so that salt precipitation or microbial growth does not occur on the membranes. and sand filtration, or pre-treatment may involve membrane processes such as microfiltration (MF) and ultrafiltration (UF). space availability, RO membrane requirements, etc. 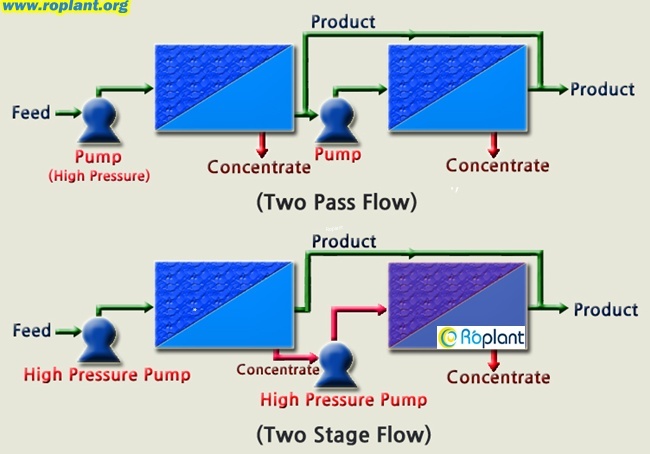 ▶ High pressure pumps supply the pressure needed to enable the water to pass through the membrane and have the salt rejected. The pressures range from about 150 psi for slightly brackish water to 800 - 1,000 psi for seawater. around a central collecting tube. in the central tube.As a portion of the water passes through the membrane, the remaining feed water increases in salt content. discharged as concentrate, ranges from about 20 percent for brackish water to about 50 percent for seawater. ▶ Another type of membrane is the hollow fiber design which places a large number of hollow fiber membranes in a pressure vessel. as the spiral wound membranes for desalination. similar water quality characteristics in both water sources. unit area), improved rejection of salts, lower prices and longer service life (Buros, 2000). reducing the overall energy needs. The energy recovered can be as high as 25-35 percent of the input energy for seawater RO (Oklejas, et al., 1996).